All the information you’ll need to gain as much muscular weight as your height and frame will permit. Gaining muscular weight is a problem faced by nearly everyone at one time or another during his bodybuilding career. 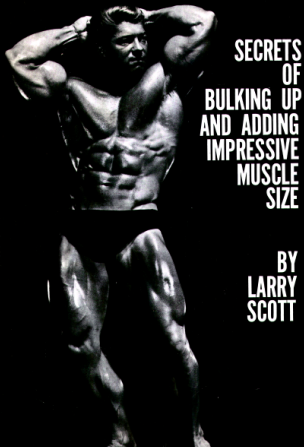 The dietary program outlined in this book will give you all the information you’ll need to add muscular bodyweight and you’ll see Larry Scott’s tried and proven way to gain added bulk and impressiveness that will help you reach your bodybuilding goals much sooner. Includes understanding metabolism, reasons for underweight, sleep and rest, calorie counting, food for muscular growth, protein values, the value of supplements, exercises for bulk and massiveness and weight gaining principles.